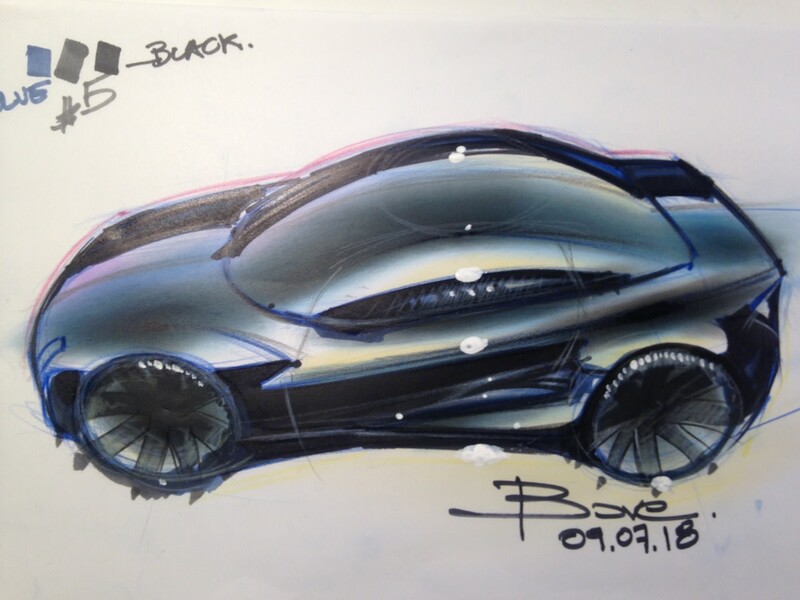 Luciano Bove is a car design manager working at Renault Design. Born in Italy, he graduated from Art Center College of Design in California. 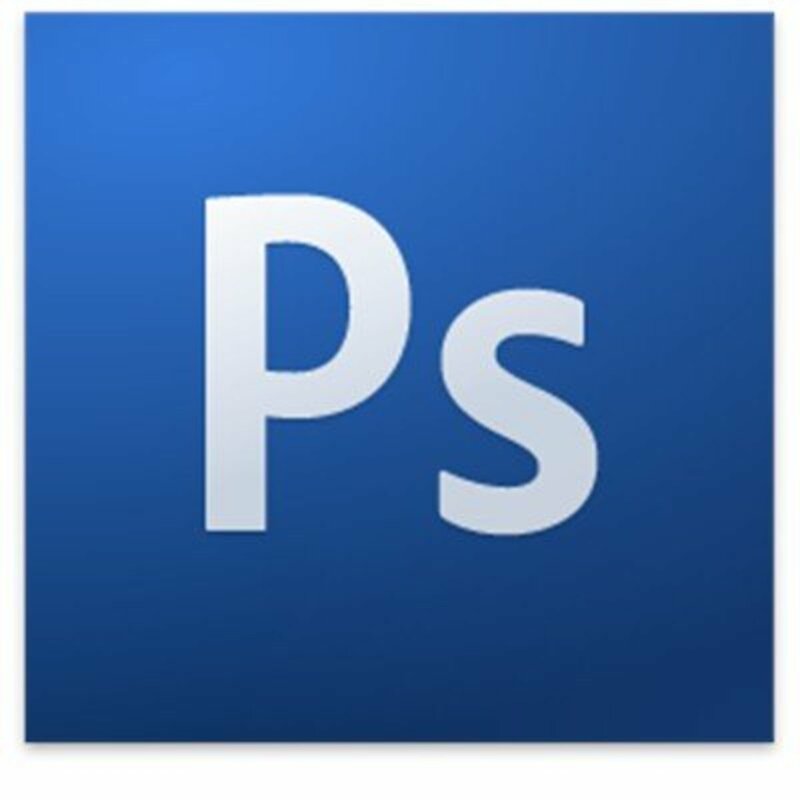 I have decided to write about "how to plan a design school career" because I think it might help some of you to understand better how to access to an Industrial Design school to become hopefully a designer. When I was 18 years old in South Italy there was not any information about the way to contact and follow a Design school. For me, at that time, it all became clear thanks to a magazine article about ACCD in Pasadena. Nice color pictures of students working on their clay models and lots of beautiful illustrations on the walls, to see and read the article for me it was like a miracle! The rest is history. Today, thanks also to new communicative technologies (Internet…), it is a lot easier to “know” that the designer is a profession and that you can study in a Design school according to Design field you prefer. Parent’s culture: my son has to be an Engineer or an Architect a real Bachelor…later on if he really wants he can get a Master in his Design passion. Some Universities culture: we open a Design department; however, we teach like they were engineers. What I mean wrong method and objectives. - 1 semester Art Center at Night following 2 courses to anticipate some classes while completing Pasadena City College and also get a real feeling about ACCD experience. - Admission as full time student at ACCD until I got my BS in Transportation Design. This was my Design education plan! I did it thanks to the precious advices given to me by Rosa Maria Zaldivar (former head of Foreign students office at Art Center) and by Ron Hill (former Chair of Transportation Design at Art Center). All these info I shared with my parents and every step has been decided with them as an investment on my capacities for my future. I believe that if today I am a car designer I have to thank my parents and all institutions that gave me support and help with precious advices. On the other hand I want to tell you that I was always asking questions to know better, to understand, to plan better, also to explain better to my family which was far and not with me. What I am trying to say is that you have to be curious about life in general but mostly for the subject in which you have a strong passion. So ask! Do not be shy! All parents dream to offer the best education to their children, it is an act of love and sometimes it forces parents to make sacrifices (economical and emotional). Generally if we tell our dad or mom “hey I want to become a designer” they look at us as strange human beings and it turns out to find ourselves enrolled in technical universities like Polytechnic or Engineering. Our parents feel like they did the right thing for us because those are really super respected Institutions where Education is of an high level, however what they do not know is that to become a designer or a car designer we need a real Transportation Design school and a serious one at once without wasting time because designers out of school start working at the age of 23/24! 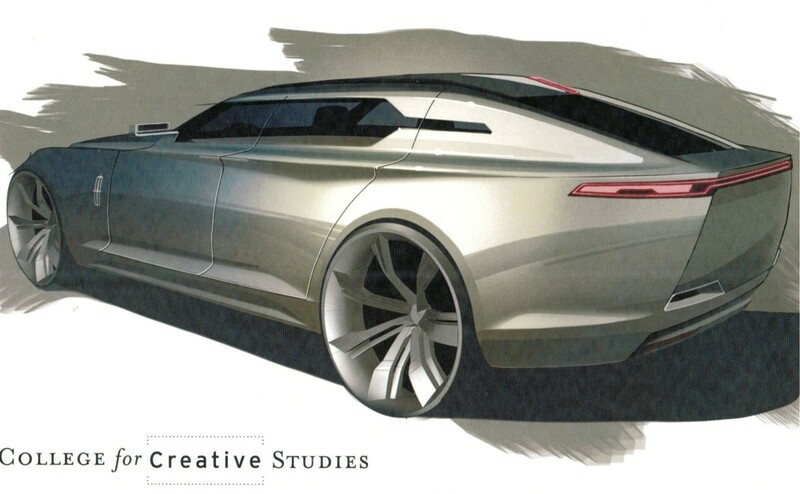 In order to become a car designer we must go through a full 4 years design school because we must start from basics in order to learn properly how to exercise our creativity. We cannot believe that we can be car designers with 5 years of Mechanical Engineering plus 1 year of a Master in Transportation Design. It does not work like that, it might for someone, but how many times? Yes it is my best advice for you today! Talk to your parents and make them understand that together you should plan your Education Career. Ask your parents to visit car design schools with you, ask questions, see what that school produces, how many sponsors has, what type of internships offers to its students, how professional it is…..
Parents must be reassured on something they do not know well. I told you this story (a real story) because too many of you ask me " how to do to become a car designer?". The problem is that most of you ask when it is already too late! Now I start giving a new answer which is: plan your Design Education career and you will have strong chances to make it! In other words, you need to plan it to arrive on the design job market with the right age and school background. You have to understand that chosing Industrial Design or Car Design it is going to be a difficult mission to accomplish and it really is an investment on your future, so for this reason plan well your career do not waste your time. I am interested in changing my college and transfer to some European college with my 1st year credits that I achieved . I.e in 2nd year at iaad or ied, Coventry. In this case is it possible to get a transfer with 1st year credits.? Secondly, I am more inclined towards digital medium. I.e cad or alias modelling along with my sketching skills. I have a supporting portfolio for that. So is it possible to do specialisation in alias modelling while I am enrolled in my master program. I look forward as a digital sculpture in automotive design field who has the knowledge of car design, ergonomics, functionality and conceptualization. Is it possible to get admission in accd or ccs with the help of credits that I earned in 1st year at isd india. Hi I do not blame anyone. I just try to tell about reality...which means a hard one. Agree with you pratham24, financial constraint kills lots of dreams....LOTS, its just quite sad the cost of a proper design school...i know its hard for us to give up .i just hope as i do myself that you find d money you need to complete your design school. And thank you mr luciano Bove ...really appreciate your support but yoy cant really blame us doing engineering for now....just cant sit back and do nothing, not everybody is privileged though. I hope so. Thank you. If I take a loan will I be able to pay it back? Because the amount is big. Thank you anyways. how can I know? In Europe 27 is a little late because young designers from design schools are hired at age of 22/23!! Maybe in 4 5 years things will change..I do not know! Thank you. But would I get a job even if I get out of school at the age of 27? I'm not gonna be able to go to a designing school anytime in these 2-3 years. I would have to do 4 yrs BE, 4years Bdes and then 2 years Mdes. it is possible right? If my portfolio's good? I know I'll have to put in more versatility and different ideas but is it possible. I cannot do designing right now but I will do it because its my only true passion. I just want to know if I would be considered at the age of 27? Well, I had planned to be in a design school this year but due to financial problems I'll be doing bachelor's in engineering and then designing. So would it be......you know, okay? I'm 17 right now and if I do BE, BDes then Mdes., I would be 27. I'm really passionate about it. I hope you guide me about it. It is an amazing career choice because it will have an interesting career life. Dear Aakansh, nothing is sure in life! 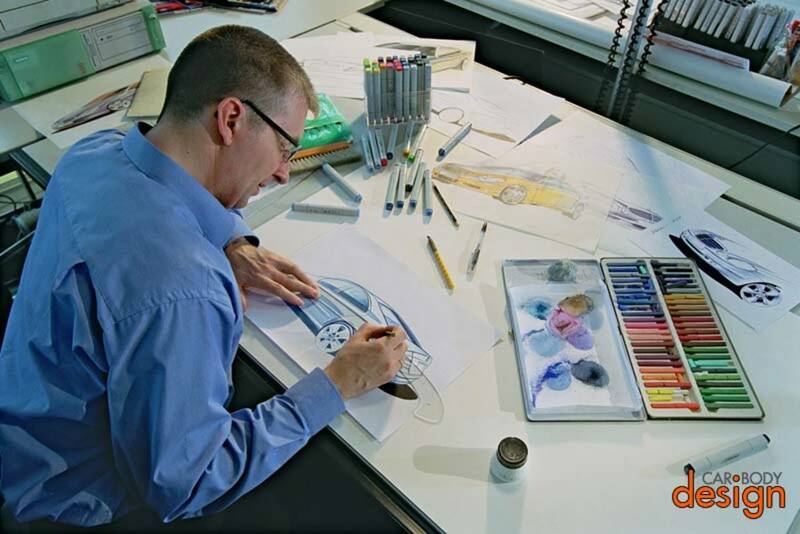 Car design is very difficult to achieve and it all starts with a strong talent and determination to do it! You need also a good design school. Also if i m passionate about it is there any surety for good job..? Dear Nosakhare in your case you can still make it with IED..however you will need a brilliant final portfolio which means a lot of hard work to use at your best the time left according to your future students' competition. Mr Bove, I can't help but notice the emphasis on 4 years design school training; what would you say about institutions that offer the degree for 3years like IED because I plan on getting a BA H from there once I'm through with my mech.engineering study ....I too suffer from a host of disappointments not limited to parents ignorance in the field but also no encouragement and no money . I'm from Nigeria and here people see me as jobless when I pick up the pencil and what are my chances because I'll be 26/27 when I'm done at IED ....sorry this is coming late . Great story! In your case you should get a Master in transportation design you are young and until the age of 23/24 you could still make it! Good luck! Firstly, congrats on your successful career and wish you the best. I have always believed that designing cars is a work of art and is to be mastered only when practised. I started out scribbling and drawing cars at the age of 12 and had never stopped. My designs, sketches of cars, vehicles, were to be found everywhere from classroom benches to chalkboards. Even small sketches drawn at every page and corners of any book I ever used for writing notes in school. Overtime, I learnt the techniques of sketching under different perspectives. I was really convinced this passion has to be my career. I even proudly proclaimed that I'll one day be the greatest car designer my country and the world has ever seen, though I was less informed, immature, and young at the time. I realized I needed formal education in Transportation Design for the world to recognize my 'talent'. It was the time in India, when there was no bachelor course on "Transportation Design" anywhere to be found, I searched the all great Google and found it even harder to get in touch with international students from India. I had no other go but to pursue education in Mechanical Engineering for passion to fix any vehicle. It was only heart-wrenching to know after 2 years of pursuing mechanical engineering that Transportation design schools were popping up in a few places and few design institutes making Transportation Design as a recognized bachelor's course. I certainly hadn't any financial status to turn things around and get back to look out for joining these institutes. Nevertheless, I dedicated myself to mechanical engineering with taking up a hobby of restoring vintage cars and bikes, got really good at it and learnt the art of building cars. I'm currently the founder and CEO of a start-up that believes in serving humanity with products that push the boundaries of design, challenging the status quo of the clothing and merchandising industry in India. As a team, we put our blood, sweat, and tears into making our products a symbol of the human effort to live a great life. Yet, I still possess the streak in myself to get back at designing cars. I would be grateful if you'd help me out in acquiring the necessary education for the profession of Transportation Design. I'm 20 now. dear Saurav for this you just need to contact directly those schools! luciano sir i wanted to know how i can prepare for masters in vehicle design portfolio for art center and other italian schools too like IAAD.... pls help me also tell me sir how one can get scholarships at italian as awell as ACCD to study masters??? ACCD no doubts about it! Good chance! My situation is my indecisiveness. I know I am 28, but i have already spent 4 years in design, first 2 in design education M.des Industrial Design and the later as working professional at Industrial Design Center in IIT Bombay. I have been offered a seat at ACCD in Graduate Transportation Design(M.S.) SYSTEM TRACK and also at RCA in MA Vehicle Design. I am have problem in choosing between them. ACCD i know is the best school in the field of transportation design ( the undergraduate course has produced a number of renowned vehicle designers). But I am little doubtful about the graduate course which has started recently in 2012, specially system track. I do not know where will I end up after pursuing this course. On the other hand RCA is known for awarding MA in Vehicle design for last 40 years. But what I have heard its not that popular among the transportation design studios/ companies. And also being a international student its hard to find a job in UK or Europe after graduation, for which I believe US is more liberal and have more opportunities. Sir if you brief me on this situation, ie. what will be the future opportunities for me if I go for ACCD transportation design system track. OR whether RCA would be a better choice for me if I have to pursue my career in transportation design. It will be helpful for me to decide, anyhow I have to choose one. But what i want is that my money should be well spent, as in both the cases huge investment in involved. 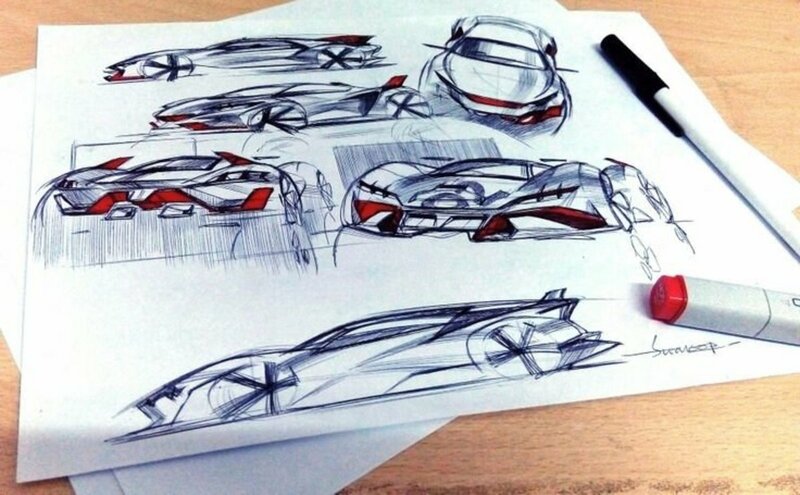 Dear Farzin, at the age of 28 it is really hard to get back in the game and at almost 30 years old hope to get a car designer job! Today we hire young design students age od 21 or 23/24 max...however you can always nurture your passion for yourself..just like I do with oil painting...take care! I loved to be a car designer , i have participated in some design contests like peugeout-concours-design back to year 2004 _2006 , and then completed my studies in BA of mechanical engineering - molds manufacturing and hanged there . gone to my military service duration and after that worked 3 years as an IT/server/ISP administrator :( and i think there is no more chance for me to become a car designer at age of 28 :( i know a little catia , some solidworks , and i`m good in 3dsmax , but this is years passed that i haven't touched any of them.